We celebrate and appreciate the opportunity to have you as party of our online community, and look forward to our mutual success in 2013 and beyond. 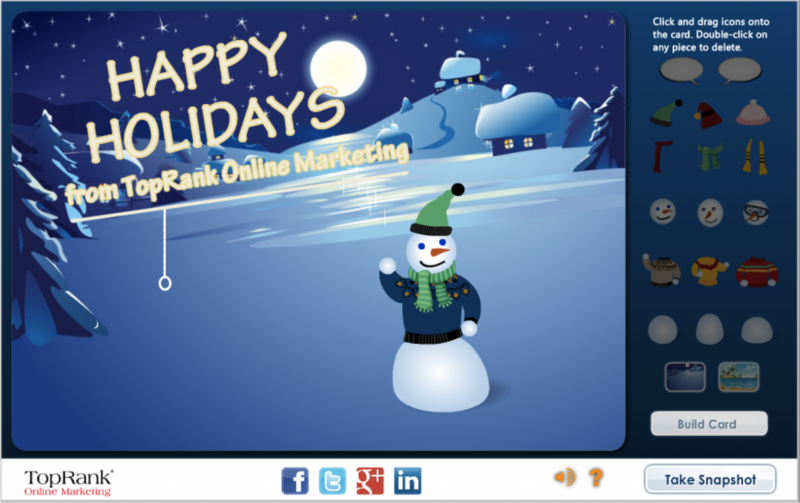 You can now “Optimize” your own holiday card! The first 5 people to comment on this post or share a tweet of their TopRank holiday card will win a free copy of Optimize by Lee Odden. Google recently joined forces with Facebook, Dell, and Intuit to try and restrict the validity of certain patents issued by the United States. This filing is meant to determine if a company should be able to secure a patent for an “abstract idea” concerning financial intermediation implemented with a computer. Via Inc.
Hopefully the world has not already ended by the time this post is published! Many people have taken to the Twitterspehere and shared their comedic take on the impending Mayan apocalypse. Via Mashable. According to a recent study from NM Incite and Nielsen consumers are spending roughly 20% of their total time online via personal computer and 30% of their time via mobile. Apparently, social media use on these devices increased by 37% year over year. Via MarketingProfs. Google’s purchase of Meebo has enabled them to begin testing a Meebo-inspired bar to increase user engagement on Google+. This new functionality will allow users to chat using Google+ even if they are not on the actual web page. Via The Next Web. This interview with Salesforce Marketing Cloud’s Manager of Content Amanda Nelson sheds light on what drives Salesforce’s content machine. 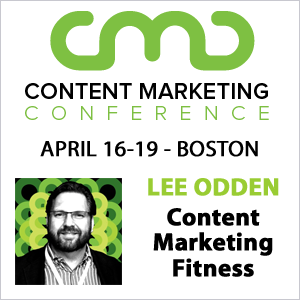 The interview includes insight into tactics, results, and challenges of content marketing. Via Content Marketing Institute. Consumers – you will be able to search to find local businesses by name or category. Results will be ranked by criteria such as ratings, check-ins, likes and recommendations with your network playing a role. Businesses – if you don’t have a page, you won’t show up. Time to think about creating a page and/or updating the one you have to ensure it’s optimized. Are you ready for the new LinkedIn profile design? Optimize your personal and business profiles to get the best results from LinkedIn with this helpful guide. Via Social Media Examiner. Majestic SEO has created pretty cool and free Chrome Extension, that allows you to see back link data from the page you are looking at. It also has a number of tools available including their Flow metrics data. No account is needed to use this extension. It can be downloaded from the Chrome Store. Via Majestic SEO. A combination of chatter and weirdly fluctuating search results this week led many to believe that a big Google Panda update pushed live sometime around the 13. A Google spokesperson speaking to Search Engine Land, however, indicated that there was no update that they at Google ‘were aware of.’ Read more about this potentially conspiratorial non-update / update in this Search Engine Land coverage. This article highlights how users can better understand the traffic coming from newer Apple devices running iOS 6, specifically highlighting how search from Safari is now secure. Also included is a description of this issue in some technical depth, and includes a segment on how to generate traffic estimates. Via Search Engine Watch. There are MANY factors that influence Google’s search algorithm that will never be known, but one factor that is known as user feedback. That is, how an actual person experiences and rates content. Well, Google is now developing additional user feedback tests (user tests have been in-place for some time) to better understand which pages visitors prefer. Learn more about this new test in this post from Search Engine Land. Time to Weigh In: Do you think that a company should be able to secure a patent for an abstract idea? If you could only share one more tweet before the world ended what would it be? Does the clear rise in consumers use of mobile devices for social media impact your online marketing strategy?